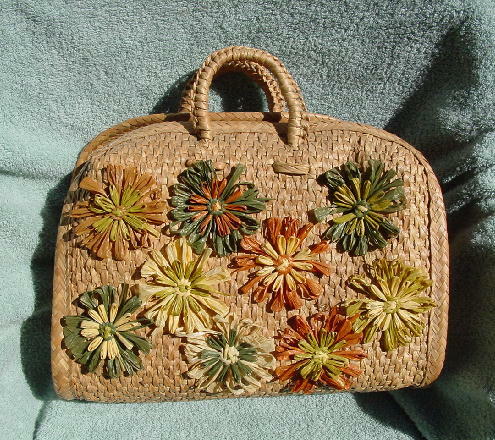 This vintage straw purse has nine raffia flowers on the front side. The flowers are in light rust, dark olive, light lime, light peach, light coaoa, and pale yellow. 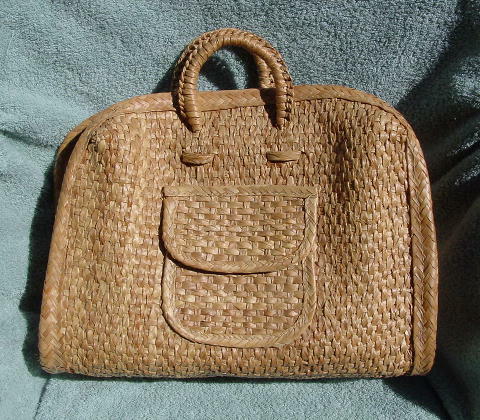 It has two 10" woven handles. The back has an open pocket with a large flap covering the opening. The straw is a natural color and in a tight weave. The interior has a small open pocket. It's from a stylist's inventory, and was used once, in a photo shoot in St. John, U.S. Virgin Islands.